Christmas is almost upon us and I’m sure plenty of people are scrambling for last minute gifts. Aren’t the best gifts homemade gifts? Especially edible homemade gifts? 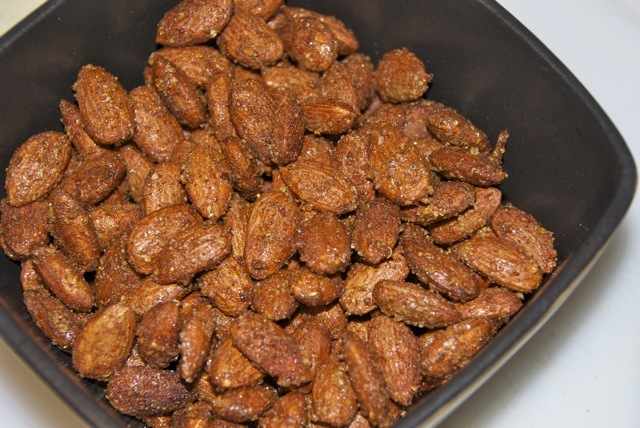 These Sweet ‘n Spicy Roasted Almonds would be perfect as a last minute holiday gift! Unfortunately, I made mine a little too soon before Christmas, and they were gone before I could even think about pulling out some wrapping paper! When Nick was in California recently, his grandma sent him home with two 5 pound bags of almonds. 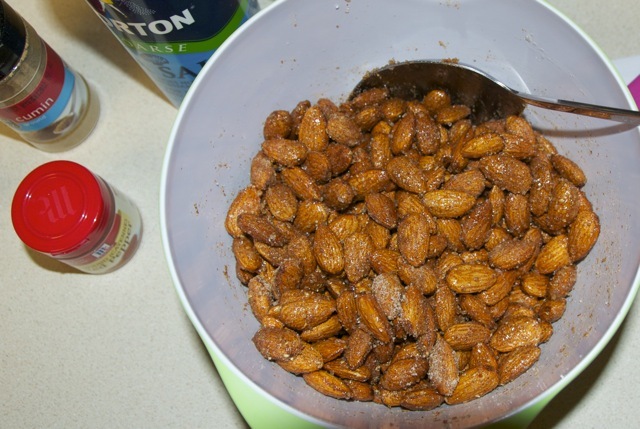 I use a lot of almonds, but this was a TON! I decided to look up some snack recipes to use some of them up. This recipe used 3 cups, which made a good little dent and they were so good they were gone in a flash! Preheat oven to 275 °F. Line a sided sheet pan with parchment paper. Whisk egg white and water together until foamy. Add almonds and toss to coat. Transfer almonds to a strainer and toss gently to drain excess egg white. Stir together sugar, cumin, coriander, salt and cayenne. Add almonds and toss to coat thoroughly. Spread almonds on the sheet pan in a single layer. Bake for 30 minutes. Gently stir almonds. Reduce the oven temperature to 200°F and continue to bake for another 30 minutes, until almonds are dry and nicely toasted. Set aside to cool completely, about 15 minutes. Package them up and give them away! WOW! These DO look good! 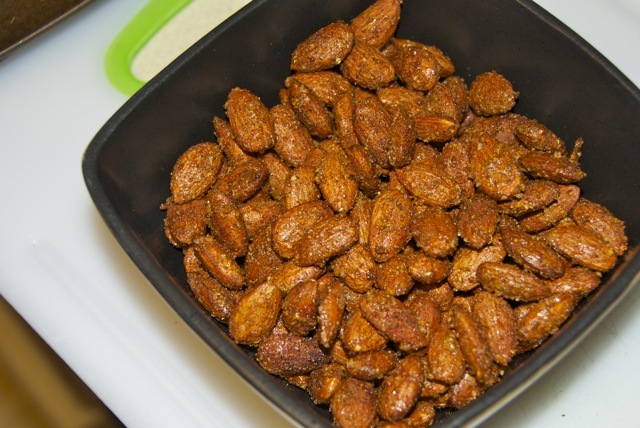 I love sweet and spicy and these almonds are definitely that. 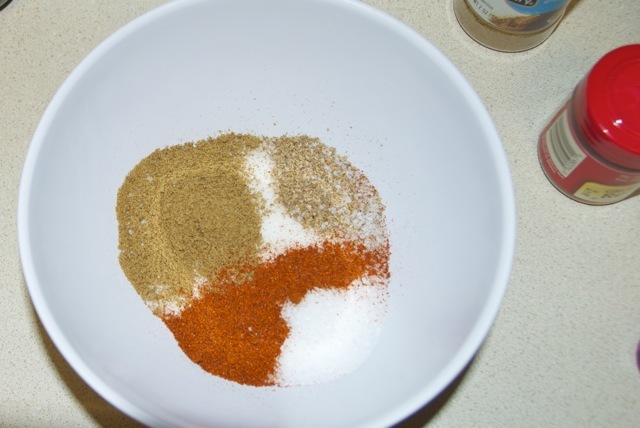 In fact, I love the super spicy with all that cayenne!